The New Zealand Herald, (nzherald) brings the latest breaking news articles, photos, video, blogs, reviews, analysis and opinion from New Zealand and around the World. 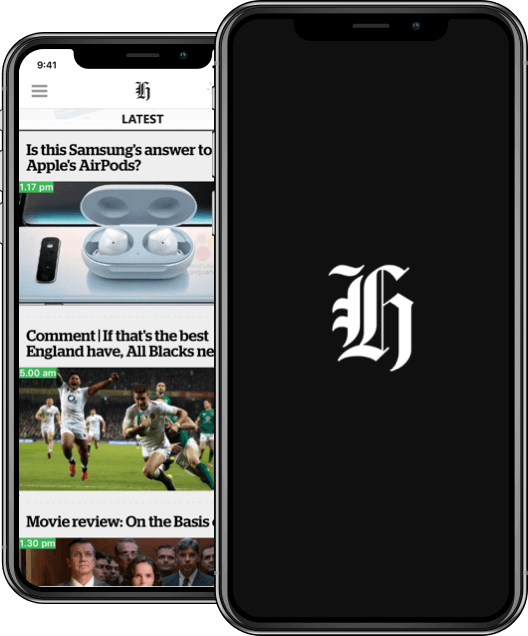 Suffering with major issues around speed and stability within their existing application, the New Zealand Herald approached us to revive an app worthy of New Zealand’s most trusted news outlet and with the Rugby World Cup fast approaching, time was a major factor. NZME, the owners of the nzherald, were looking for a trusted party to not only build a great app that delivered an engaging experience but also a partner for onging support, maintenance and enhancements. The New Zealand Herald app is designed to deliver the latest and most relevant news to users in the best way possible, anywhere, anytime! Access the very latest in news, sports and entertainment from award-winning journalists, users are able to opt in for news alerts, save content to view/read later in their own personal reading list and much more. After an initial review of the existing code, it soon became clear that the problems were far worse than we had thought. The existing code left behind from previous developers had our team in disbelief and a complete rebuild was immediately considered. However, with a limited timeline, we soon realized this would be near impossible. This left a full review and refinement of the existing code as the only feasible option. Our developers were able to revive the app from an unstable headache into a seamless, intuitive and award-winning user experience. As of 2015, we have maintained a long and successful relationship with the NZ Herald as their partnered app developers. Throughout the years we have and will continue to provide a long list of updates and refinements to their award-winning app. The refreshed app is designed to deliver the latest and most relevant news to users in the best way possible, anywhere, anytime! With access to the very latest in news, sports and entertainment from award-winning journalists, users are able to opt in for news alerts, save content to view/read later in their own personal reading list and much more.